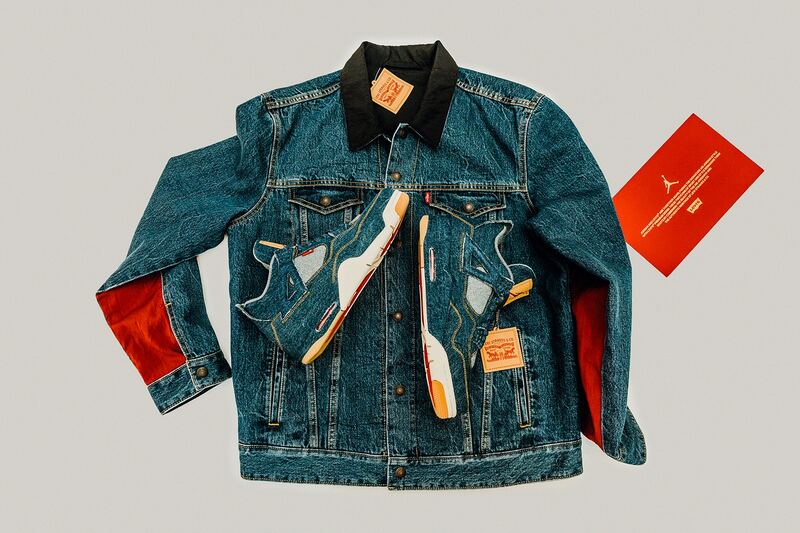 The Jordan Brand and Levi’s® have officially shared more information on their collaborative Air Jordan 4 and reversible trucker jacket. The two reunite to celebrate each other’s respectable history by giving the Air Jordan 4 a Levi’s® standard wash on its upper as reverse denim is added to the insole and inner lining. Levi’s® signature patch is also incorporated on the tongue of the sneaker in addition to a special hangtag. The upper rests on top of a gum-colored outsole and is finished off with indigo laces, gold stitching and the traditional red Levi’s® tab. Then the Jordan Brand x Levi’s® Reversible Trucker Jacket places emphasis on craftsmanship as it mixes details found in the classic Flight Suit into its worn denim.